Most Americans have just been getting to know Bernie Sanders in the last few months, as his presidential bid has gathered a full head of steam. But journalist and author Greg Guma has known him since the 1980’s. He talks about Sanders’ previous campaigns and and how Bernie Sanders’ current insurgent run has matured him as a candidate. A journalist, novelist and political writer, Greg Guma has worked with and written extensively about Bernie Sanders. 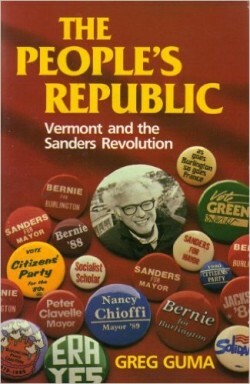 His 1989 book, The People’s Republic: Vermont and the Sanders Revolution was the first comprehensive analysis of Sanders’ years as Mayor of Vermont’s capital city, Burlington. Greg Guma is a journalist, novelist and the author of The People’s Republic: Vermont and the Sanders Revolution.